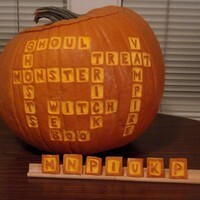 10 Great Games for Halloween! A couple weeks ago, I spent a weekend in Ft. Wayne, Indiana, attending the Alliance Game Distributors Open House and I thought it might be fun/useful to share a few things from my trip with the Fair Game community about some of the things that I learned and the new games I was able to play. I had never been to Ft. Wayne before and was pleasantly surprised by the attractive downtown area (lots of newer development and a really amazing mixed-used development that is the home of the Ft. Wayne Tin Caps, the Single A affiliate of the San Diego Padres). 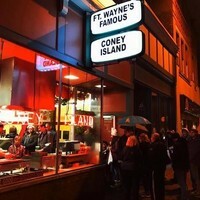 Whenever I travel, I like to find the local food establishments and I enjoyed the four block walk from my hotel before arriving at Ft. Wayne’s Famous Coney Island, which opened up in 1914 and just celebrated its 103rd year of being in business. It had a great old school vibe (there was still an old ice chest used as a fridge in the middle of the restaurant) and I’m pretty sure that the seat I was sitting on could have also been occupied by my grandparents when they were my age, had they had the opportunity to make it through town. If you’re ever downtown Ft. Wayne, give it a shot. But enough about my travels….what about the games?!? So if you aren’t familiar, the game industry operates in a classic 3-Tier distribution system, where the publishers sell to distributors who then sell to Retailers who then make the goods available to consumers looking to purchase individual copies. There are exceptions to this (like Kickstarter or times where stores like Fair Game buy direct from the publishers) but a significant majority of the industry operates within this context. There are a handful of events each year put on by each of the major distributors, and this weekend was the Alliance Game Distributors Open House. These events are a great opportunity to spend some time with game designers, publishers, our distribution reps and other store owners and are really great learning opportunities, on so many levels. I’ve been fortunate to be able to participate in a handful of these over the past year and while the days are long, filled with meetings and presentations on topics ranging from upcoming releases from a manufacturer to suggestions on how to run better events or optimize inventory, I’m usually able to come away with a handful of new ideas/initiatives to try and incorporate into the store. So what were some of the interesting tidbits I grabbed from the presentations? 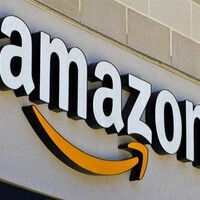 – New product releases are continuing to come at a furious pace and it won’t feel like things are slowing down much between now and the end of the year. HOWEVER….I got the sense that several manufacturers are rethinking the blistery pace of the last 18-24 months and are slowing things down into next year. Renegade Games and CMON both mentioned something along these lines in various presentations and conversations I had with them. – Minimum Advertised Pricing (MAP). If you’re not familiar with the terminology, MAP basically is a manufacturer’s attempt to limit/slow the price discounting that has hampered the industry over the last several years by not allowing anyone who is selling their games to advertise a price that is lower than a specific % of MSRP (generally 20%). While I could spend an entire week talking about the positives/negatives of MAP (maybe a future blog post? ), we’ve seen a pretty significant movement within the industry where manufacturers are trying to take back some control of the pricing of their games. Asmodee and CMON were the first to jump into the fray earlier this year, and we’ve seen several others follow along. 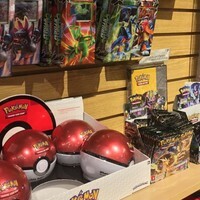 At the show, Upper Deck and Calliope Games both announced MAP policies and Callipoe indicated they were going to use some technology to help them identify those retailers who are not abiding by the rules. – Organized Play. Probably the area of recent initiatives by manufacturers that I’m most excited about. 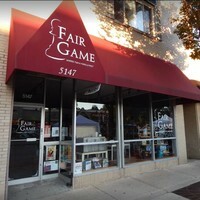 We love hosting fun and unique events at Fair Game and one of our primary reasons for being in this business is to bring people together to have fun. Organized Play programs help us do this in a way that is a win/win/win for all parties involved. There are a couple approaches that seem to be emerging from publishers. On the higher end side….companies like Fantasy Flight and CMON are producing large and expensive Game Night Kits that have exclusive and high-end components in them. If any of you attended our Zombicide Game Night last weekend, you know what I’m talking about. On the other end of the spectrum is a company like Renegade. Their recent Clank! Kit was not super expensive but they did a great job of including something for all participants that was still awesome to head home with. Both the low-priced and high-priced options are welcomed by me, and after talking with several other publishers I’m really looking forward to a continued push towards Organized Play. I’m also having conversations with publishers who might not have official “Organized Play” but are open to Fair Game hosting themed game nights where they send us out some fun swag and promo items they have access to. Stay tuned…..
Much of the above is at the core of what makes me hopeful and cautiously optimistic as a small game store owners. – WarTime: The Battle of Valyance Vale – I absolutely loved the “real-time” aspect of this game. It’s a 2-player tactical war game, however the key feature is that when you move, attack, cast a spell, etc, a sand time is flipped and that unit cannot be used again until the sand timer is drained, at which time it can be used again. The sand timers come in 30, 60 and 90 second increments, so game play moves along quite quickly (no more waiting 5 mins for your opponent to figure out their next move!). I felt the component quality could be better, but I would not be surprised to see others pick up on this sand timer dynamic and include in future games. – When I Dream – So many great things about this game. 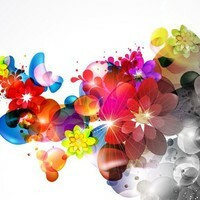 One person puts on a sleeping mask and becomes the “dreamer”. The other players are secretly dealt their role cards, which will determine if they are trying to help or hinder the dreamer in determining what drawing is on the Dream cards. There’s storytelling, deduction, and memorization all wrapped up in a quick to learn party game package. I can see this one being an instant classic at Thanksgiving (if its out by then). – Barenpark – This game was released earlier this year and we sold out very quickly of the small amount we had brought in. It hasn’t been available for a couple months but another print run is coming shortly. I REALLY liked playing this game and can see it becoming one of our family favorites. It has tile placement and set collection at its core and was really easy to learn to play. – Crystal Clans – While the battle element was a little tricky to pick up (there was a rock/paper/scissors outcome that wasn’t super intuitive to me) this game introduces an entirely new mechanic that I really liked. Depending on the type of action (and number of actions) you take on your turn, you will be giving your opponent an opportunity to take several actions (or just one) before it becomes your turn again. I played the prototype, so not exactly sure what this will look like from a production quality standpoint, but it was an interesting mechanic that had me curious to want to play more. – Strife – The folks at Mayday had mentioned this card game in their presentation, and it intrigued me enough that I made a special request to play it during the demo night (they didn’t have it on the table but pulled it out of a box when I asked). It was a very easy to learn trick-taking game that I’m excited to take back home to Iowa and play with my family (who are big fans of games like Hearts, Pepper, etc). – Muse – Think Mysterium, but a Mysterium that can be played by 2-12 people in either a cooperative or competitive mode. The art on the cards was amazing and you take turns being the muse, trying to give the right clue within the constraints of an inspiration card you’ve been dealt (ie the one word clue you give has to be a body part). Lots of different gatherings that I would love to bring this one to. – Draachen Turm – the folks at HABA are bringing a new version of this game to market, and I can’t wait to break this out at some of our elementary school events. You are working together to build scaffolding in order to rescue the prince (or princess) that is trapped in the tower before the dragon sabotages your scaffolding and you fall to your untimely demise. ? I loved the cooperative elements of the game and the ‘race the clock’ element that happens as soon as you are able to get to the top of the tower to begin the final phase of the rescue operation. There were several other games that I was able to play for the first time and enjoyed, but just don’t have the time to dig in to today. If you see me in the store….feel free to pick my brain for any others that I had a chance to play. Since this is the first post that I’ve made, I’d love to get any feedback (good or bad) that you’d be interested in sharing. I will hopefully be posting on a regular basis around some of the adventures that come from owning a small local game store. Thanks for reading, and I hope to see you soon!